Go Cycling launches with a website - www.go-cycling.org - (in Dutch and English) that provides employees with simple tips for how to start cycling. This includes information on incentives for cyclists, local routes, and options for buying, leasing or sharing bicycles and e-bikes. The site also provides advice for employers on how to make it easier to foster a cycling culture in their workplace. Businesses can share costs for a number of operations that facilitate cycling, such as installing parking and shower facilities, from Hello Zuidas. On World Mental Health Day (10th October), BYCS will be hosting a free public breakfast event from its cultural events series ‘SHIFT’ at Circl, the ABN AMRO pavilion. The event will explore the topics raised by the Go Cycling campaign with international experts and speakers on mental health, urban planning and business. For more information and registration, head to www.go-cycling.org. 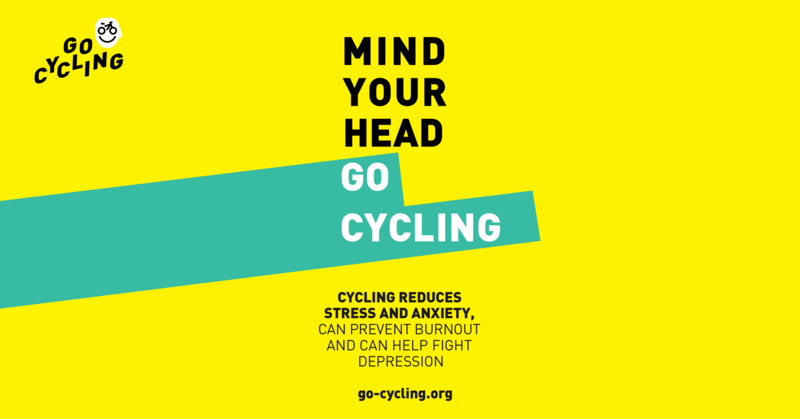 Business leaders and mental health experts will be signing a giant pledge wall, committing to ‘Go Cycling’ outside Circl, the ABN AMRO Pavilion. Data: Information on mental health provided by the Dutch Institute of Psychology, Volksgezondheidenzorg.info and ISGlobal.